King Arthur’s secret daughter, Rhianna Pendragon, has faced mortal danger, ice-breathing dragons and dark magic to win Excalibur, the Sword of Light. But the sword is just one of four magical Lights that she must find to restore Arthur’s soul to his body and bring him back to life. 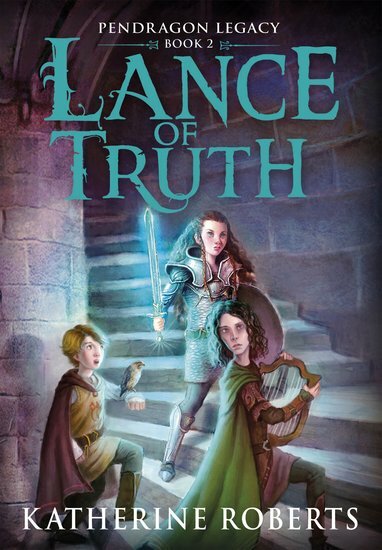 Now Rhianna must head into the wilds of the North to find the second Light, the Lance of Truth. But her evil cousin Mordred is holding her mother, Queen Guinevere, captive. Can Rhianna stay true to her quest for the Lights and save the mother she’s never known, before Mordred wreaks his terrible revenge? The quest for Camelot’s survival continues in this gripping second story.